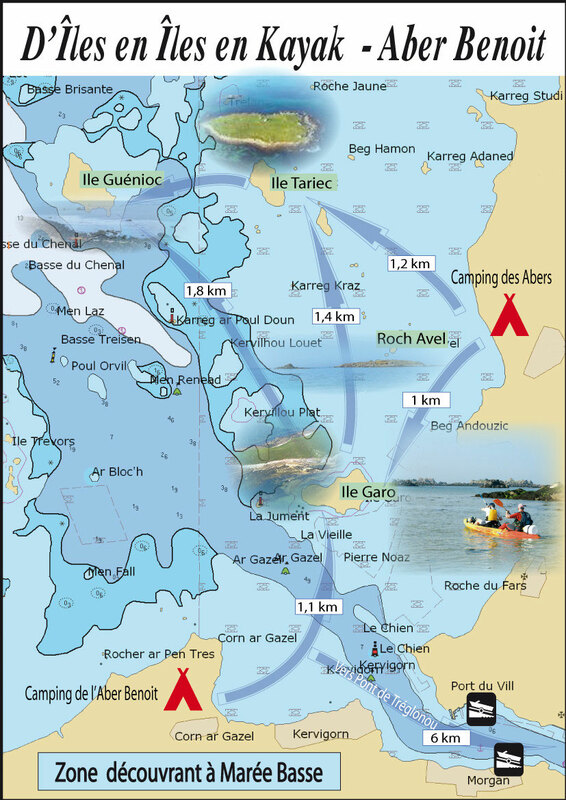 The Aber Benoit archipelago consists of 4 little main islands : Roch Avel island, Garo island, Tariec island , Guénioc island. 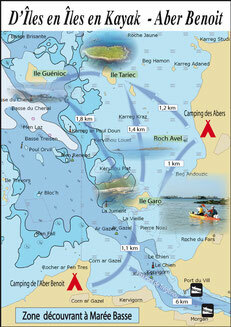 First, just have a look at the detailed map! Kayak Take-away rental fee: Page "Kayak rental rates"